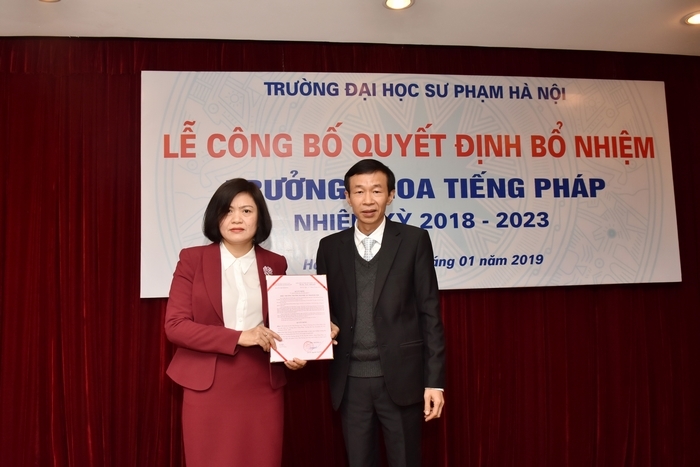 On 10/01/2019, Hanoi National University of Education held a ceremony to announce the decision to appoint managers of office and faculty: Office of Organization and Personnel and Faculty of French . According to Decision No. 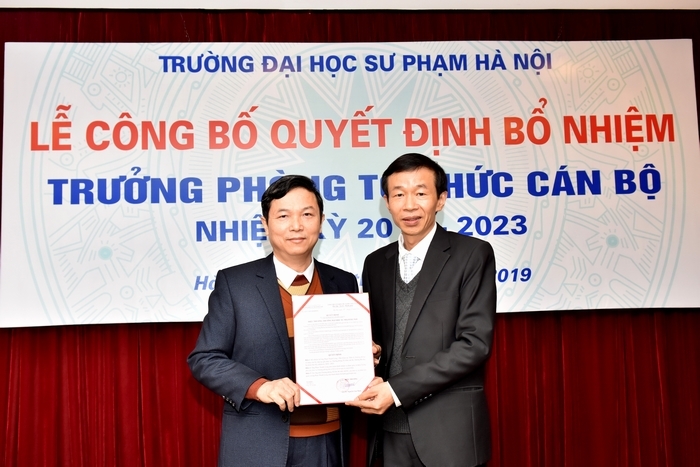 10312 / QD-DHSPHN dated December 25, 2018 by the President of Hanoi National University of Education, Assoc.Prof.Dr. 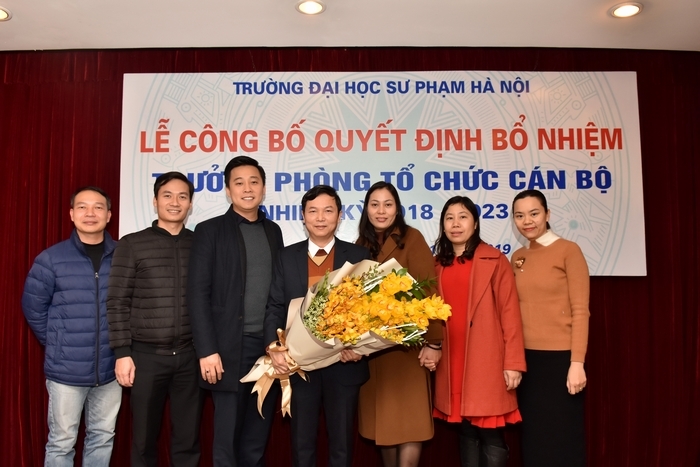 Phan Thanh Long, Head of Office of Organization and Personnel, was appointed to continue the position of Head Office of Organization and Personnel for the term of 2018-2023. According to Decision No. 10313 / QD-DHSPHN dated December 25, 2018 by the President of Hanoi National University of Education, MSc. Tran Huong Lan, Dean of Faculty of French, was appointed to continue the position of Dean of Faculty of French for the term 2018 - 2023. Prof. Dr. Nguyen Van Minh, President of the University awarded the appointment decision to Assoc.Prof.Dr. Phan Thanh Long.